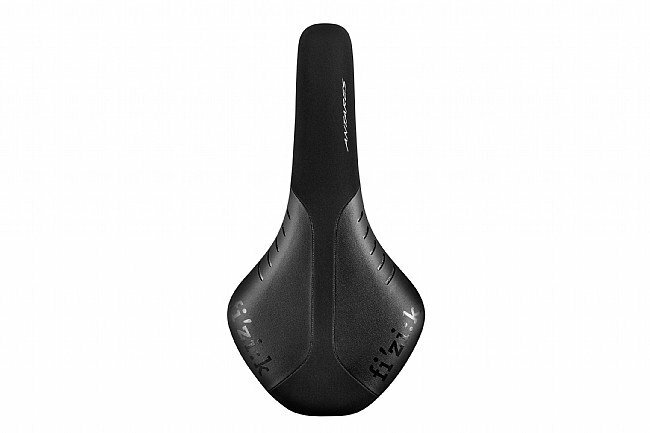 The Fizik Antares R1 Saddle features what many consider to be the most versatile shape in Fi'zi:k's saddle line, drawing on features from their popular Arione and Aliante models. 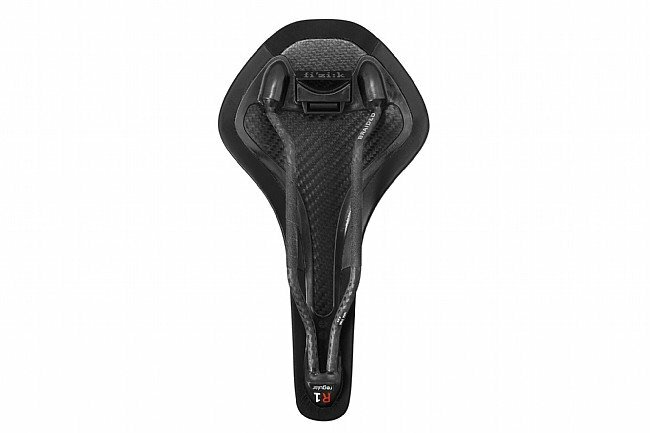 The R1 saddle uses the same saddle shape as the budget-priced R3 or the featherweight 00, but with a middle-of-the-road approach. 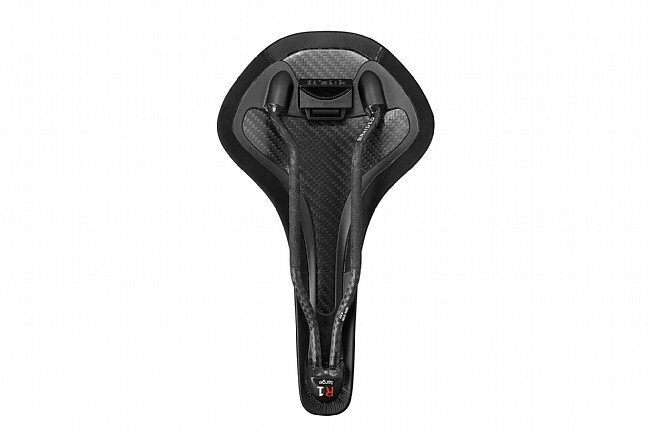 Shedding weight from the R3, this saddle brings a carbon composite shell and braided carbon rails that work together to eat up bumps and buzzes from the road while keeping the weight down. 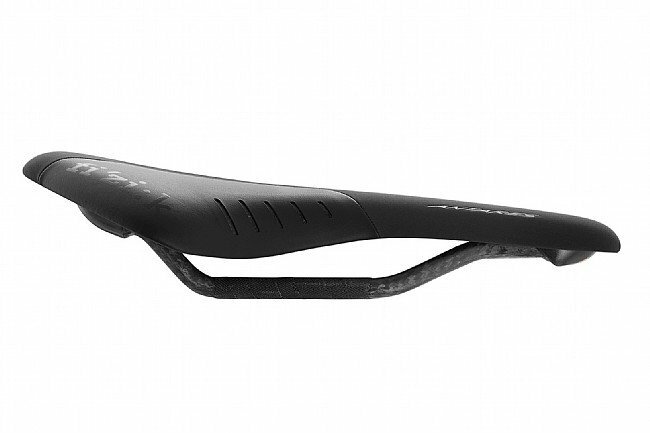 Of course, all versions of the Antares feature Wing-Flex sections to provide unmatched flexibility at thigh contact areas. A high durometer foam composite finished with Microtex fabric provides rebound beyond compare and ample padding for all day comfort. 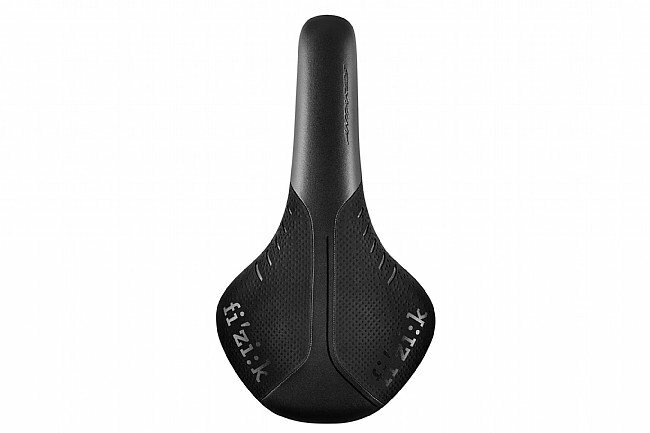 The Fizik Antares R1 Saddle is available in two sizes: Regular: 275x141 mm and 160g. Large: 275x152 mm and 165g. 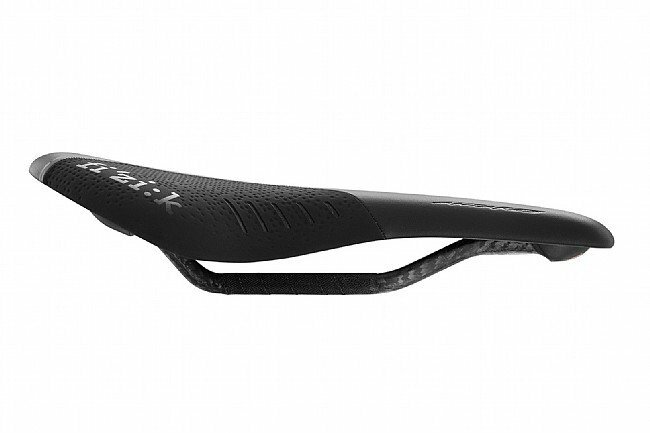 If the Antares fits you, this is your saddle. This is my second Antares, the first one was before they had the wing-flex and I thought I would give that a try. My first one had a hard edge after a few hours on the saddle, so far this one is better. The cover material on this has a bit more grip to it than my first one, but you can still move around on the saddle when you want to. Nice shell and nice rails equal a nice light saddle.